Empty advice is annoying as much as it is discouraging. But don’t worry, because today you’re in luck! We’ve collected the simplest and best tips around to help you pose for pictures with confidence. Remember these guidelines— maybe practice them in front of the mirror a few times— and never again feel lost or self-conscious in front of the camera. As far as regular people (not professional models) are concerned, there is one universally flattering stance that creates a long, lean look. All women, as well as men who want to look longer and leaner, should learn how to angle themselves this way. Simply shift your body into a three quarter turn, putting your weight on your back leg. Next, shift your torso to face the camera. To perfect this look, you next want to pay attention to your arms. Men who want big arms in their photo should keep them pressed against their sides, angled slightly towards the camera. Women, on the other hand, should keep their arms away from their body to avoid a “smooshing” effect. This can mean lifting the arm slightly away, or for the very sleekest look, resting a hand on the hip. As a rule of thumb, whatever is closest to the camera will look the biggest. So if you really, really want slender arms in your shot, you can also push your elbows backward slightly, creating distance between them and the camera. For men, sitting is pretty straight-forward. To look bigger than you are, you can always spread your knees widely to inhabit a lot of space and angle your whole body towards the camera. For a leaner look, follow the same guidelines as for standing, detailed above. For women, there are two extra tricks you should know. First— assuming you’re sitting at an angle— always cross the back leg over the front one. There’s less thigh this way. Second, for an even cleaner and leaner look, opt to cross your ankles instead of your knees. 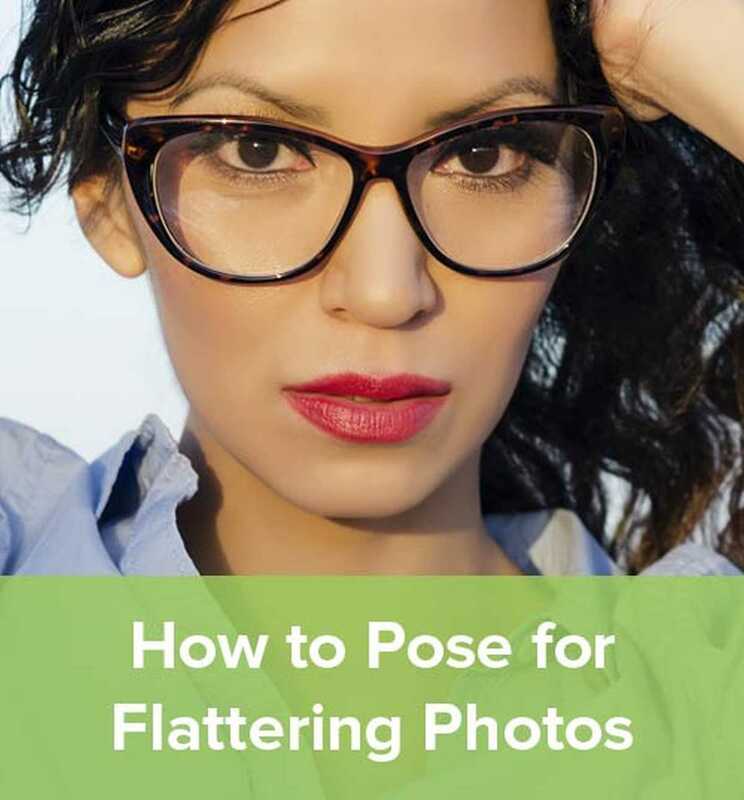 The main objective for face and neck positioning in photos to avoid a double chin, as most people can easily create one (that may not even be there in “real life”) just by posing the wrong way. For the quickest, easiest fix possible, simply lift your tongue behind your front teeth. This action naturally tightens the muscles of the neck, as you can see demonstrated below. Apparently, models are taught to do this. It’s just us regulars that have been in the dark all this time! The second guideline is a good one, not only for avoiding a double chin, but for creating a sleek shadowline below your jaw in photos. Simply extend your chin and then tilt it down ever so slightly, elongating the neck. The examples below should show you exactly what I mean. While I’d say an uncomfortable person will usually look it on camera, I’ve found that this is one rare exception to the rule that consistently feels funny while looking great. Note while we’re talking about the face: avoid doing extreme closeups. People feel much more connected and familiar with you when you use some of your body in the shot, even if it’s just your shoulders. One fantastic tip for positioning your hands in photos is to move— rather than place— them. When you place a hand on your shoulder, for instance, it can look pose-y and awkward. But if you scratch your back and then pull your hand back to your shoulder, the position will look much more natural. Your choice of camera angle should ultimately reflect what kind of shot you’re trying to achieve. For instance, if you want to look big and tough, you might want whoever is taking the photo to crouch down and shoot you at an up angle. Generally speaking, though, people are most flattered by a camera angle that is at or slightly above eye level. 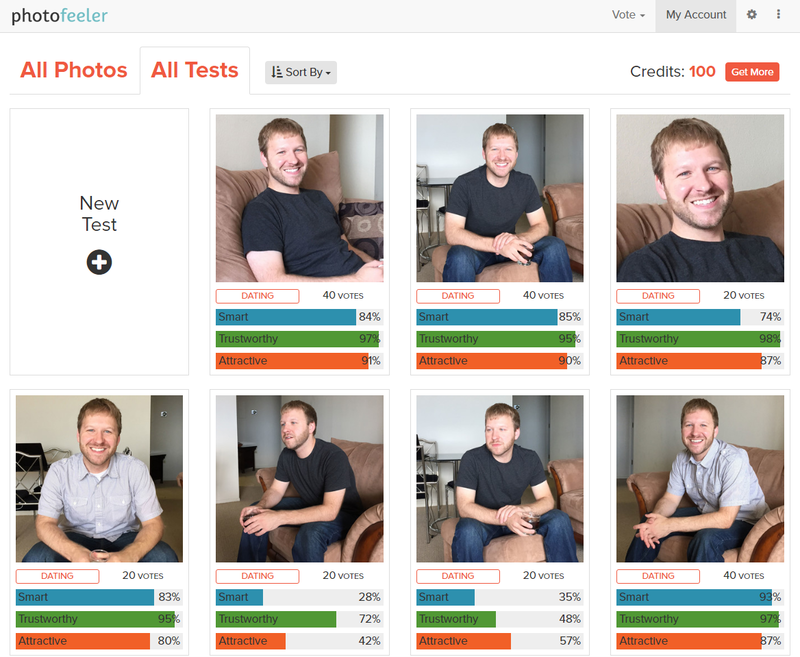 To gauge whether you look natural or forced, collect a handful of photos and put them on Photofeeler for some free, easy feedback. As you’ll see, some poses did better than others. 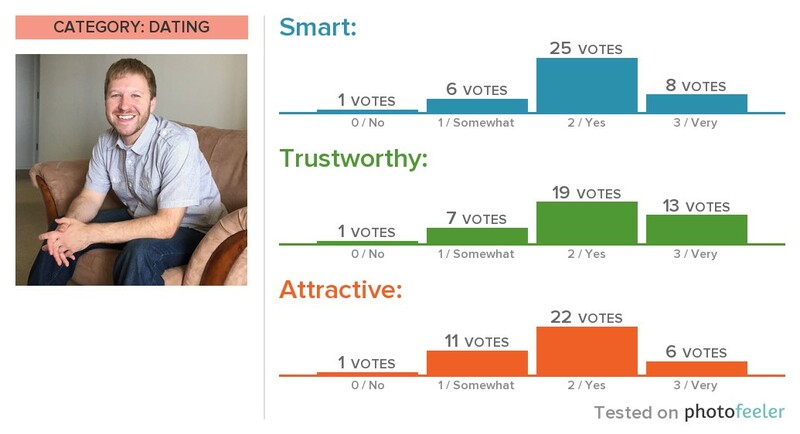 But the feedback from Photofeeler showed him exactly what worked and what didn’t. Anyway, this has been a basic overview of the easiest and most foolproof posing tips out there. We hope that you’ll use them to create your best photos ever! And if you know someone who could use this info, be sure to spread the word. They’ll thank you later.